As a booking agent for Take That we can book Take That to put on an utterly outstanding show for your special event. Take That are one of the most successful boy bands ever, with a legion of loyal fans, 17 top 5 singles, of which 12 were no 1s, and among a long list of prestigious awards have won 8 Brit Awards. Give your guests a spectacular night to remember and book Take That to light up the stage with an explosive performance at your event. Take That first came to fruition on the whims of band manager Nigel Martin-Smith who had the idea to create a band to appeal to the lucrative and passionate teen demographic. The first member he recruited was 15 tear old songwriter Gary Barlow, recognising his potential Martin-Smith decided to build the band around him. He held auditions, looking for young men who could sing and dance, over time he found Howard Donald, then came Jason Orange and shortly after Mark Owens and Robbie Williams rounded out the group. Take That was born. To break into the industry, Take That appeared on shows such as The Hit Man and Her while also releasing several singles, both originals and covers. 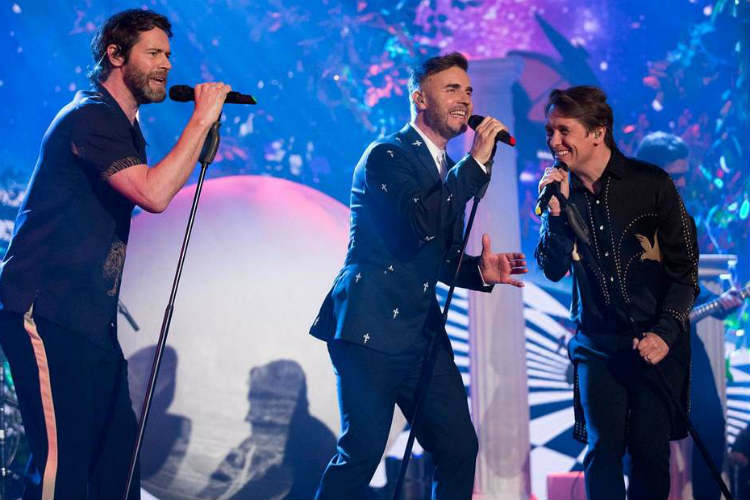 Take That spent many months travelling to pursue their dream, performing at gig all over the UK. Their big breakthrough came when they released a cover of the Tavares track, ‘It Only Takes a Minute’ it was their first to break into the charts, achieving a number 7 position. Take That followed this up with several more singles, including Gary Barlow’s first ballad ‘A Million Love Songs’ which also went to no. 7 on the UK Singles charts. The groups debut album ‘Take That & Party’ was released in 1992. Take That’s sensational rise to fame reached new heights with the release of their next album, Everything Changes, in 1993. The record topped the charts at number one at contained a further four no. 1 singles with the titular ‘Everything Changes’ alongside ‘Pray’, ‘Relight My Fire’ and ‘Babe’. This successful album helped to boost their reputation internationally; promising big things in store for the group while also earning them a Mercury Prize nomination in 1994. Take That embarked on their first World Tour in 1995, rising to prominence in popular culture and appearing on the front of major magazines such as Smash Hits and GQ. They had become a global sensation, with a cult following and exclusive range of merchandise. This rise to stardom was further cemented with a number of awards and performances at prestigious award shows such as The BRITs. 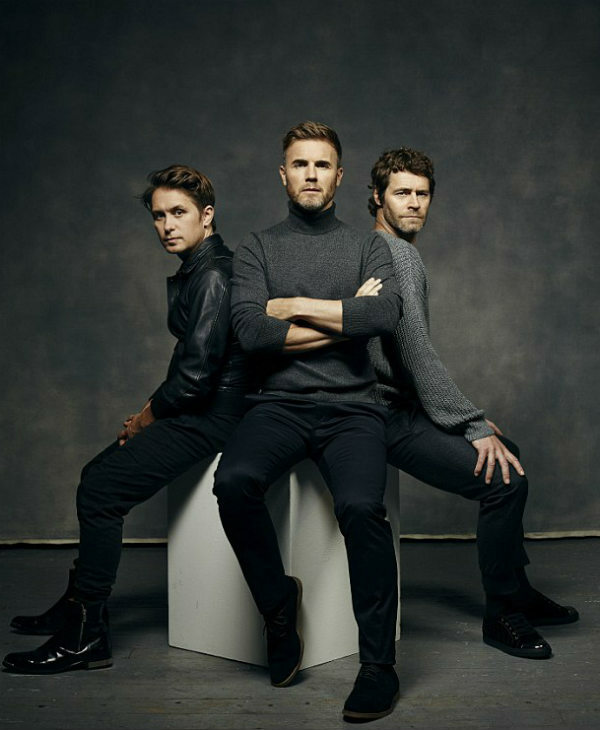 Continuing to storm the industry, Take That’s next album, ‘Nobody Else’ was another number one hit both in the UK and around Europe. The also had their biggest hit so far with ‘Back for Good’ which, as well as reaching no. 1 in countless UK and European charts, broke into the US charts at no. 7. It was in 1995 that Take That had a big change in the line-up, with Robbie Williams quitting the band. The remaining four continued to tour without him but at the end of the year agreed to part ways and they announced their split in February 1996, much to the despair of their devoted teenage fans. However, all was not lost, as years later Take That reunited, minus Robbie Williams, and emerged back onto the music scene after signing with Polydor Records. Their comeback album ‘Beautiful World’ smashed into the charts at no.1 and soon became the 35th best-selling album in all of UK music history. Their revival continued to blaze a trail through the charts with the release of singles ‘Patience’ and ‘Shine’ which also grabbed the top spot on the charts. 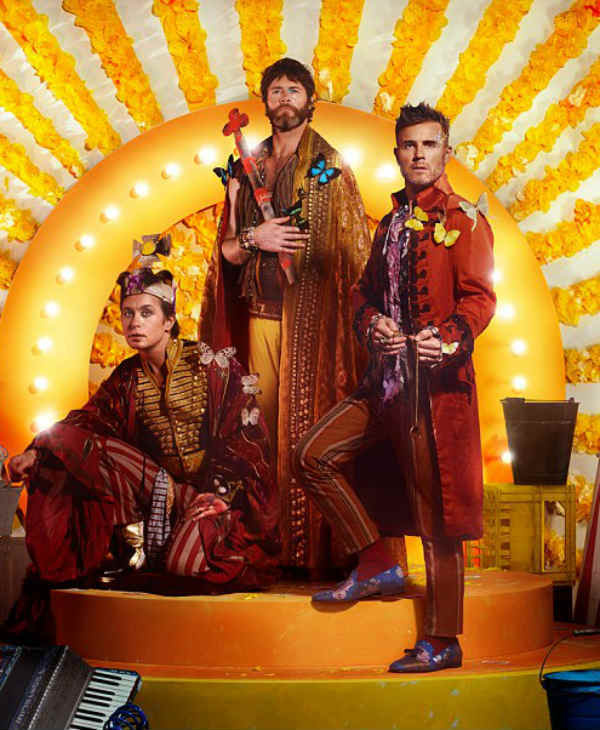 Since their amazing comeback, they have released four more successful albums; ‘The Circus’ which was recognised as one of the most pre-ordered albums of all time, ‘Progress’ which welcomed Robbie Williams back into the fold, ‘III’ with the 3 man line up of Barlow, Owens and Donald and then their most recent record ‘Wonderland’ which came out in 2017. 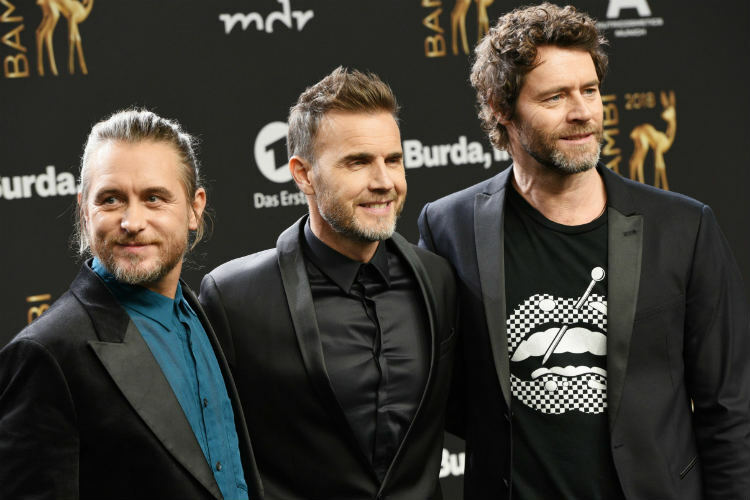 Take That have a long-running history of chart-toppers and successes, with the awards to show for it. Overall, Take That have won a fantastic 35 awards, including five Ivor Novello Awards and eight BRIT Awards. They are acclaimed by critics and the public for their dynamic live performances with their tours having been described as “some of the most flamboyant, imaginative and extravagant pop tours around”. As a top booking agent, we have experienced and friendly account managers to help you book Take That for an unforgettable event. Just get in touch if you are looking to book Take That to stun the crowds with one of their vibrant and dynamic performances. 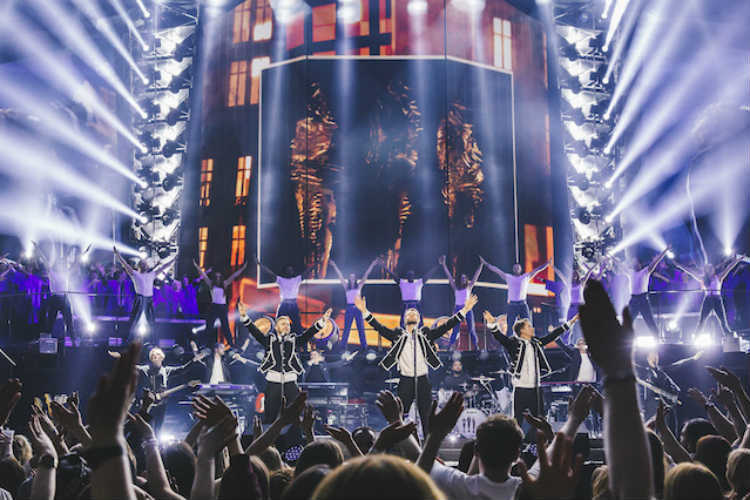 We have the capacity and knowledge to ensure your event goes down a storm and as a booking agent for Take That would be happy to help make your event a sensational occasion.